Book a skilled lawn pro in Newcastle. Backed by a total satisfaction guarantee and amazing customer support. 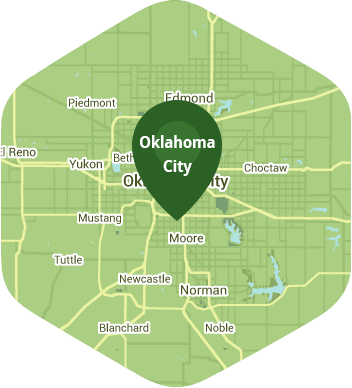 Do you spend a majority of your free time outside of work commuting to downtown Oklahoma City on the 44? If you do, then you're well aware of how precious your free time is and what it means to take full advantage of it. Nothing helps you to take full advantage of your time than hiring someone else to take care of the more mundane aspects of your day to day life. No, don't hire a butler or even a personal assistant – all you have to do is learn a little about Lawn Love. Lawn Love is a fully insured and bonded lawn care company. Our highly trained and skilled lawn care technicians can take care of all your lawn care and maintenance needs. We can do all the mowing, weeding, seeding, gardening and trimming and all you have to do is give us a call in order to find out how a much a little Lawn Love can add to your life. To get started, call Lawn Love today at 405-926-8318 and take advantage of our free, fast and easy two-minute quote! Rated 4.78 / 5 stars in 3,685 Newcastle customer reviews. There won't be any rain in Newcastle today, which means you'll probably have to water your lawn. Dusk and dawn are the best times to water your lawn (the sun will rise at 6:55 AM and set at 8:04 PM today in Newcastle). Here are some average lawn care prices for homes in Newcastle. Average lawn size 5,349 sq. ft.